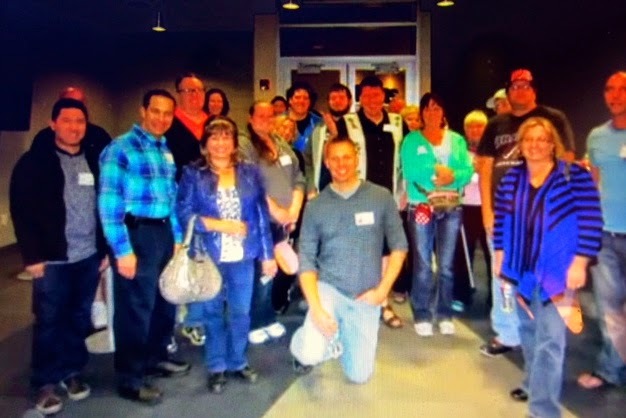 The annual April Slot Fanatics Meet wouldn't be the same without some of us visiting WMS Studios. Thank you Shamus of Slots from Player's Life for organizing this yearly tour and of course a big thanks to WMS for hosting us! Ken, (CPT on SF) was such a good sport about driving me and other friends all over the strip during this April trip. Tonight he drove Mike and I to WMS studios. Thanks Ken! Our group getting ready to enter the main WMS showroom where both current and new slots are on display. Before we went in Shamus had a drawing for some cash, but all I remember is I wasn't the winner! WMS also had a contest for us to guess a new slot that they had under wraps. Due to signing a NDA I can't tell you what slot they revealed to us but unlike last year when Rambler and I both guessed correctly no one submitted the right guess this year until many hints were given out. However they still awarded a $50 gift card and the winner was Lakrhatr! Congrats Lakrhatr! Above I'm in front of what I believe will be one of my favorite slots when it's released later this month. BeetleJuice! I have two demo bonuses at the links below if you are curious. 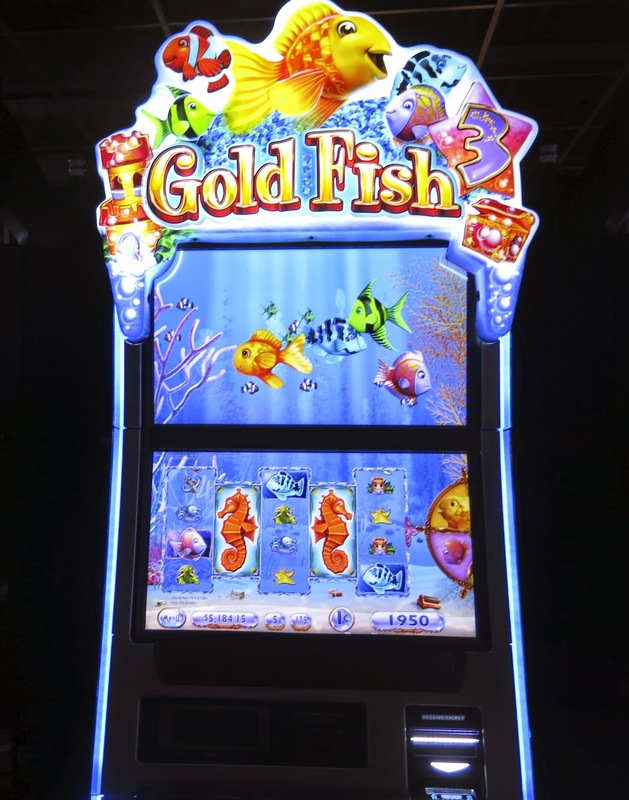 The Gold Fish franchise lives on with Gold Fish 3 coming to a casino soon. Here's a link to the Redfish bonus on GF3. 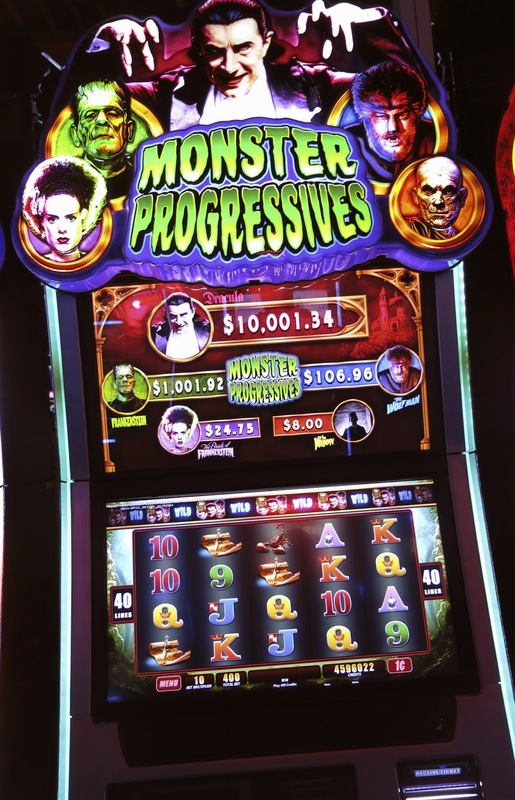 I've had fun on the original WMS Monster Slots in the past and the new one looks promising too. Here's a video of it, though I picked out the lower bonus wins to demo. As on previous visits I had a great time playing the new slots and talking to the WMS staff and I hope they continue to invite us each year. I didn't take a lot of photos this year of WMS studios because I've done that the last two visits and mainly wanted to focus on socializing and having fun this visit. If you want to see what more of the public areas of the studio looks like here's the links to the previous reports. April 2012 is below. Thanks for the report, Diana. Can't wait to try Goldfish 3! Hope it comes out soon. Great! I'll keep an eye out for it. Good luck to you! Can't wait to try out Beetlejuice when we come again next year, it looks like a ot of fun! I hope you find Beetlejuice as much fun as I did. We also went to Bally Technologies and Aristocrat Studios so I'll be publishing that later today or tomorrow. :) The trip report is going to take another week, I'm so slow and stuff at home keep interfering. Hope you don't mind that I'm putting in our photo at Cosmo! I'm looking forward to seeing your other studio visits as you take such great videos...your production values are improving all the time! I'm sure you'll get around to posting your trip report soon - life has a habit of getting in the way doesn't it. Hope you're keeping well and stay lucky! Staying well, but not staying lucky, LOL! Going back the end of this month though and hoping for better luck.